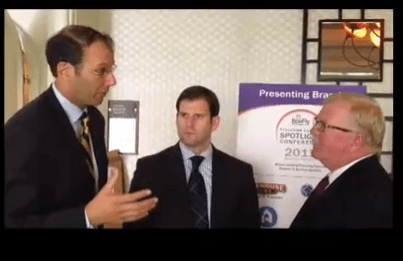 We spoke with David A. Nayor, Co-President and Chief Operating Officer of BoeFly, LLC and Michael Rozman, Co-President and Chief Strategy Officer of BoeFly, LLC about the Franchise Spotlight Conference in Irvine, CA. Bob Coleman: What did the lenders learn at this conference? Mike Rozman: I think first and foremost the lenders learned how to be active. To get out there and engage with the brands. The brands were able to tell their story like other businesses cannot. David Nayor: I think there is an increased transparency and visibility with franchise lending. We’ve been talking a lot about how franchising can lower the risk in these deals. Bob Coleman: What I loved was the format, six brands each get a half hour to present. What is the takeaway for the franchisees and the franchisors? Mike Rozman: The purpose of this event is engagement, we brought the brands to tell their story, and we brought the bankers to engage and connect with them. I think for these brands it adds transparency to tell your story, engage, and make sure the franchisees can articulate that story. David Nayor: I agree with that, there are lenders out there. There is a perception that no one is lending but these lenders are deal doers. They are looking at these brands aggressively because they want to get it done. Bob Coleman: This is the second event like this. The first one in Boston, the next in Atlanta, tell me more about it. Mike Rozman: We will be in Atlanta on October 8th at the Buckhead Intercontinental, which is one of our presenting brands today, IHG Group. Then we are going to attempt a couple other markets after that, Dallas, Denver, and other growing markets. Bob Coleman: Well I’m a fan, if you get a chance to go to one of these road shows, you should absolutely go. Mike and David, Thank You.